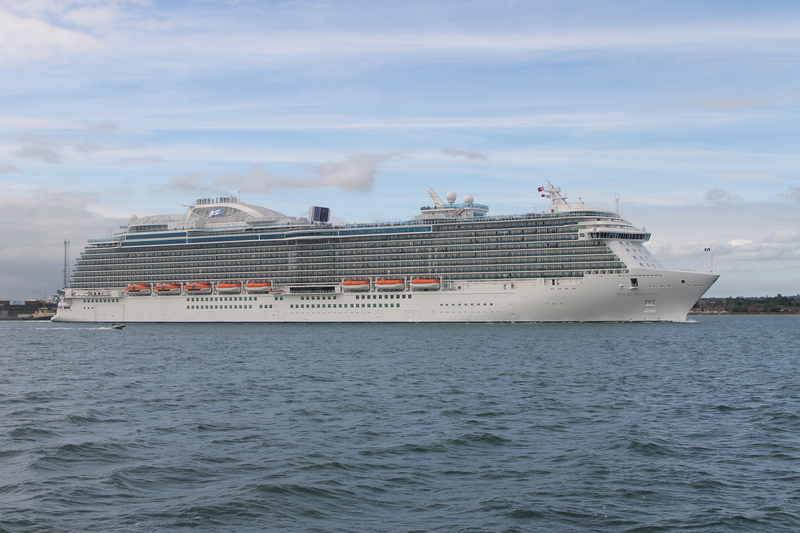 Scheduled to enter into service in summer 2017, construction on the new Princess Cruises ship has started this week. 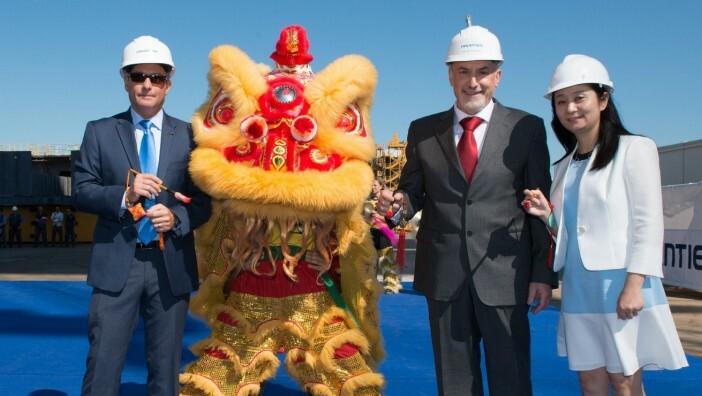 Designed for the growing Chinese cruise market, the as-yet-unnamed ship’s keel-laying ceremony had a distinctly Chinese theme with a traditional lion dance and blessing. The laying of the keel took only a few minutes as the lowest-most part of the ship was placed using a computer in the Fincantieri shipyard in Italy. This is just the start of a huge engineering and construction feat which will see more than two million man-hours put into the completion of the vessel. The ship will become the third member of Princess Cruises’ Royal Class, following the huge success of the Royal Princess and Regal Princess since they entered into service in 2013 and 2014 respectively. 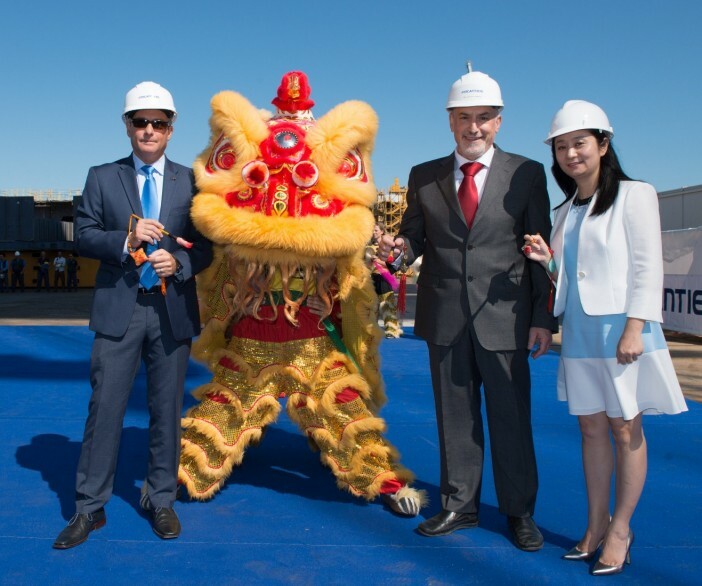 Alongside features already showcased on Royal Class ships, the new vessel will include amenities designed exclusively for the Chinese market, delivered by the caring and conscientious crew. Princess Cruises and parent company, Carnival PLC, are being careful to ensure that all cultural, culinary and entertainment additions are appealing to their target demographic. We will continue to keep you updated of the progress made by the new Princess Cruises ship and all other ships currently in construction.